Based in Mumbai, we are entrusted to manufacture and supply Carriage Bolts in the Indian markets. Our Carriage Bolts comply with the strictest guidelines of the industry. Talk of dimensional accuracy, robust-make or resistivity to adverse conditions, they excel in all. Also, these Carriage Bolts compromise with the buyer’s specifications. 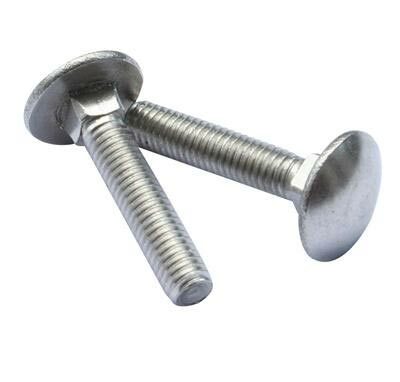 To obtain Carriage Bolts in timely manner at unbeatable prices, contact us.